The Murcia airport disposes of single taxi rank at the passenger terminal, level 0, Arrivals sidewalk, both for drop off passengers and pick up passengers, and with a capacity for 77 vehicles. Going to the airport, you can take any taxi company. However, the pick-up of passengers at the Murcia airport is done only in taxis from the Municipality of Murcia, unless you have already contracted a taxi service with another company in advance. The taxis of Murcia are white with a red shoulder band with the Murcia coat of arms on the front doors. Passenger Terminal level 0, Arrivals sidewalk. Transfers from the Murcia Corvera airport to the city of Murcia (downtown area *), or vice versa, are based on the so-called "Unique Airport fare ", and this rate will be applied to all routes that meet these conditions of origin and destination. * Downtown area of Murcia city includes the area that covers the Av. Ronda Sur, Miguel Induráin, Reino de Murcia, Doctor Guillén and Ronda Oeste, and covers also Espinardo and Las pedanías de La Arboleja, La Albatalía, Los Dolores, Santiago and Zaraíche and Puente Tocinos. This Unique tariff does not have additional charges, such as number of packages or suitcases, initial service, etc., or other tarifable concepts such as weekend or night service, except if the service is requested by telephone, in which case it will be added the amount of the meter up to the passenger pick-up point. The taxi journey from Murcia Airport to the city center takes approximately 25 minutes, depending on traffic. For other destinations, taxi fares, detailed below, will apply. Unique 29,00 € Murcia airport to Murcia city center *, or vice versa. Pick-up at bus station, rail station or port: €1,30. Pick up service at the Alicante airport: €3,60. For each suitcase or package or set of packages of more than 10 kg. : €0,60. Christmas Eve and New Year's Eve (from 20,00h to 8.00h next day): €3,50. Friday, Saturday and holiday eves from 22:00h to 6:00h: €2,10. Guide dog and passenger wheelchair have no supplement. A long or expensive journey? 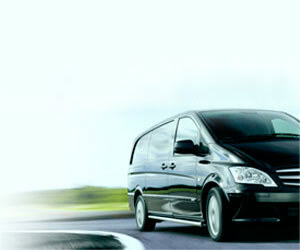 Get more information about private and shuttle transfers to/from Murcia airport. Fare 1: Day, from Monday to Friday, from 7 am to 10 pm. Fare 2: Nocturnal, from Monday to Friday, from 10:00 to 7:00, weekends and holidays.